Pass your driving test 1st time! Route-Led provides Driving Test Routes for use in your iPhone, Android, Google Maps, Garmin and TomTom devices. In just four simple steps, download driving test routes straight from our website to your device. 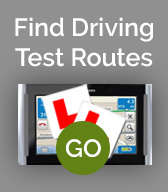 Use your Sat Nav, iPhone or Android device to practice driving test routes. NEW SAT NAV FORMAT FOR ALL ANDROID USERS! Download your driving test routes in Android format for full turn by turn navigation. 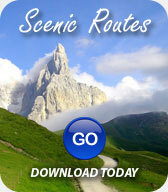 Purchase your routes today and download the Sat Nav App for FREE! Want to save money learning to drive or ride? 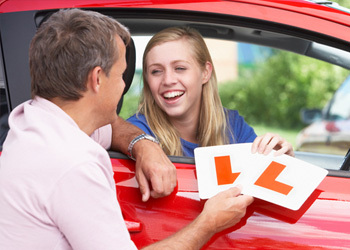 Download your local Driving Test Routes today. Transfer routes to your Sat Nav and practice until you know them like the back of your hand. Your Sat Nav will take you to the Practical Test Centre and then navigate you through the various test routes used by your examiner. After all, practice makes perfect! 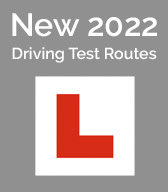 Download your Driving Test Routes today. Google Map routes allow you to view your routes in detail usign PC, Mac, iPhone, Android phone or any device that has a internet connection. All routes can be manually studied in detail and printed. For more information please visit our support page. Don't have a Sat Nav device? Not a problem, all our driving test routes, motorcycle test routes, scenic routes and costal drive are now available to open in Google Earth. CoPilot Live Mobile Navigation routes allow you to use your iPad, iPhone, Andriod or Windows Mobile as a Sat Nav device. This is the perfect solution if you don't own a Sat Nav. Our Google Earth driving test routes are now compatible with your iPhone. Simply download the Google Earth format of your driving test routes and upload them to your phone. Get Google Earth for iPhone.